Kevin M. Guskiewicz, the new interim chancellor of UNC-Chapel Hill. UNC-Chapel Hill has a new interim chancellor. 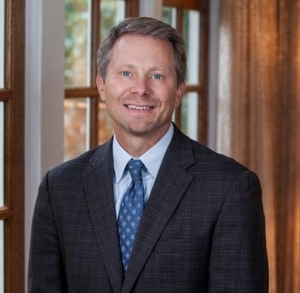 Kevin M. Guskiewicz, dean of the school’s College of Arts & Sciences, will serve in the position, UNC announced Wednesday afternoon. “As I’ve said, UNC-Chapel Hill needs its interim Chancellor to be a leader of stature – someone who knows the institution, knows the state, and is ready to drive the university forward,” said interim UNC President William Roper in a prepared statement Wednesday. “Kevin is that leader,” Roper said. Guskiewicz has been on the faculty at UNC-Chapel Hill since 1995 and dean of the College of Arts & Sciences since 2016. He is a neuroscientist and nationally recognized expert on sports related concussions. His work in that field won him a 2011 MacArthur Fellowship, known as a “Genius Grant.” It has also won him awards from the American College of Sports Medicine, the National Academy of Kinesiology, and the National Athletic Trainers’ Association. His research has been part of recommendations to the NFL and NCAA. “It is an honor to be asked to lead the nation’s first public university into the next chapter of its storied history,” Guskiewicz said in a written statement Wednesday. Guskiewicz’s appointment comes in the wake of Carol Folt’s resignation as chancellor last month. Folt’s exit followed that of UNC President Margaret Spellings. Both women clashed with the UNC Board of Governors, especially after the toppling of the Confederate monument known as “Silent Sam” and arguments over whether it should return to campus.